According to an analyst firm a version of the iPhone 7 Plus will come with LinX dual-camera technology. Recently, Apple was granted a patent for a dual-camera system in smartphones. Now at least one industry analyst seems to be convinced Apple is ready to apply this new technology in the upcoming iPhone 7 Plus model. Apple Insider got hold of a note that analyst Ming-Chi Kuo from company KGI released to investors. In the note Mr. Kuo writes that, as in previous years, he expects Apple to release two iPhone models in 2016, a 4.7-inch iPhone 7 and a larger 5.5-inch iPhone 7 Plus. In the iPhone 6 and 6s generations the larger model differentiates itself from the smaller version not only in its display size but also by including an optical image stabilization system in the camera. In the next generation, according to Mr. Kuo, Apple will go one step further and offer a version of the Plus model that comes with a dual-camera setup that is based on technology from the Israeli company LinX that was purchased by Apple in 2015. 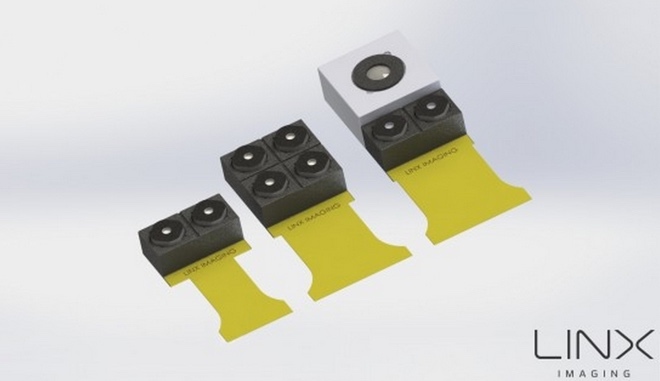 It is not quite clear how Apple is planning to use the two camera modules. The system could be recording with both sensors at the same time for picture-in-picture applications. It might also stitch and merge image data to increase resolution, zoom, or to create a shallow depth-of-field effect. Both modules are expected to use 12MP Sony sensors. According to speculation, one will come with a wide-angle lens and optical image stabilization, the other with a 2-3x telephoto lens. Mr .Kuo also says there will still be a standard camera version of the iPhone 7 Plus but the dual-camera variant will account for 25 to 35 percent of all iPhone 7 Plus shipments this year. Nope. 2 cameras would be for recording 3D photos. reminds me of the 3D feature on my led tv. Got it over a year ago and have pulled out the included 3D glasses a total of zero times.